As Korean beauty products become more and more popular all over the world there are also new brands evolving and more countries start to carry Korean beauty products. A while ago I was tried KLAVUU Series and I loved it! Klavuu (pronounced as “Kla-view”) in Swedish, is a combination of the word 'KLAR' which means clean and 'VUU' which means point of view, therefore KLAVUU's concept of 'Clear Point of View'. 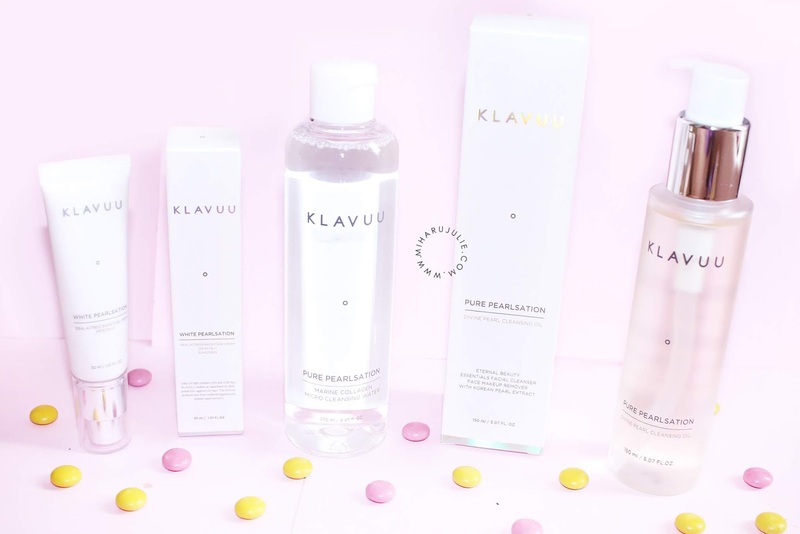 Though I know KLAVUU has been a hot brand lately. Even out your skin tone and enhance the dewiness of your skin by applying the Ideal Actress Backstage cream either before foundation or alone to make your skin appear naturally radiant. 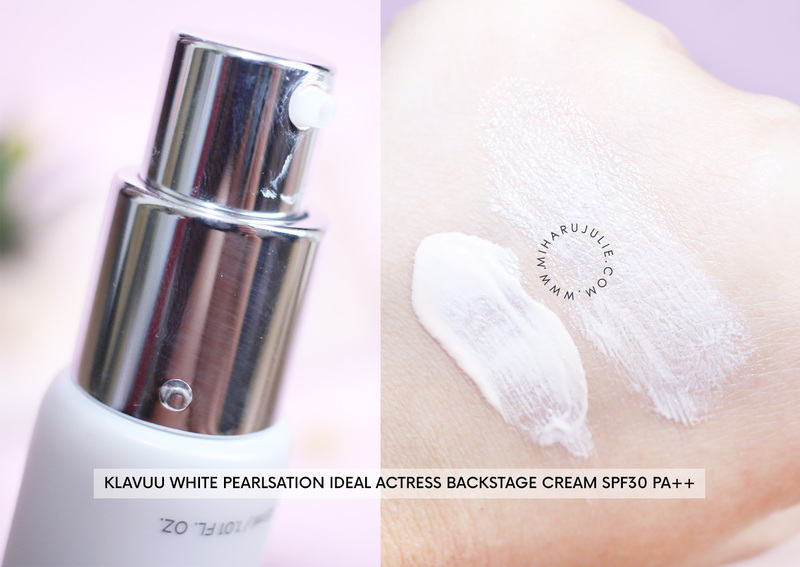 Enriched with pearl extracts, this is the perfect tinted base makeup step that will make your skin appear like it's lit from within, and with the added bonus of SPF 30/PA++ protection! Recommended for fair to honey beige skin tones. Have been using this cream as the first step of my makeup routine for a few month now and love it! I used this primer before applying foundation, however I just use it on its own and it gives me a healthy glow that lasts all day. The texture of this cream is lightweight and has a light cream consistency. Although the colour looks peach/beige, it spreads out evenly to just make your face the slightest bit fairer like a tone up cream. In addition to how it looks, it also feels great on (not tacky and not dry) and the smell is light and pleasant. I really recommended this product for a daily because it also have a SPF. This Marine Collagen Micro Cleansing Water cleanses thoroughly into the pores and attracts away all dirt and impurities. 1. Micro Cleansing: cleanses thoroughly deep into the pores. 3. Marine Collagen: help maintain skin's hydration, even after cleaning. This cleansing water is by far the best one i've used in my whole life. It doesnt dry out my skin nor does is irriate it. i had really good experience with this product on my first use so from then i've continously used this every single day. It also hydrates the skin at the same time so gives a nice revitalising feeling this product does not only cleanses your face but helps your skin to stay hydrated and improves on your skin complexion. 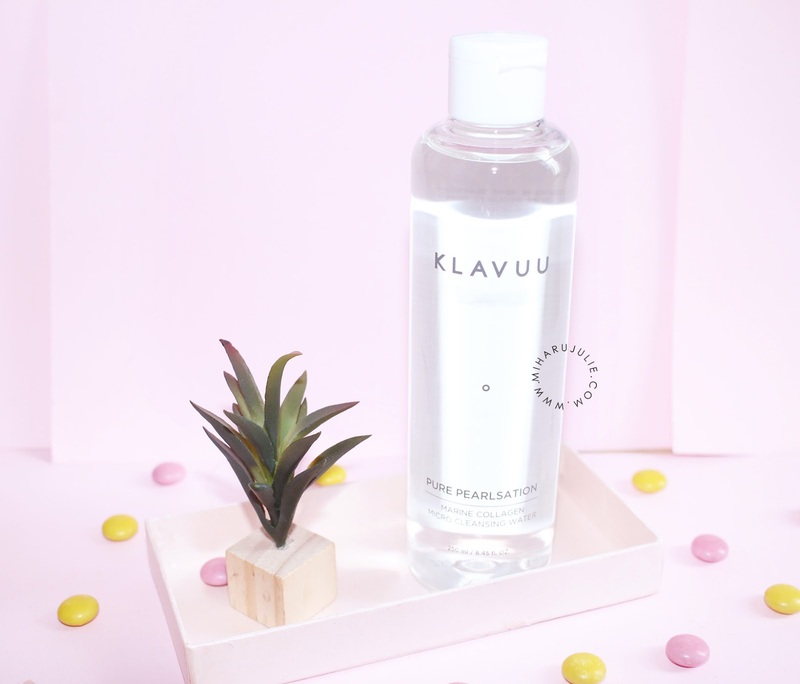 This fragrance and paraben-free cleansing water from Klavuu is equal parts gentle and effective. Hydrolyzed pearl extracts hydrate, brighten, and tone for a clean, non-greasy feel, while fermented yeast and marine collagen enhance elasticity. This cleanser is really nice because the oil-based of the cleanser give a smooth and soft feeling when you rub it on your face.. It removed all the make-up I applied and it didn’t make my skin feel dry after cleansing. Since I have dry skin some good cleansers which are able to remove all make-up thoroughly are simply too drying. I didn’t have that feeling this time. Also, it didn’t leave my face oily at all. This product smells amazing! It has a very slight but very pleasant scent. 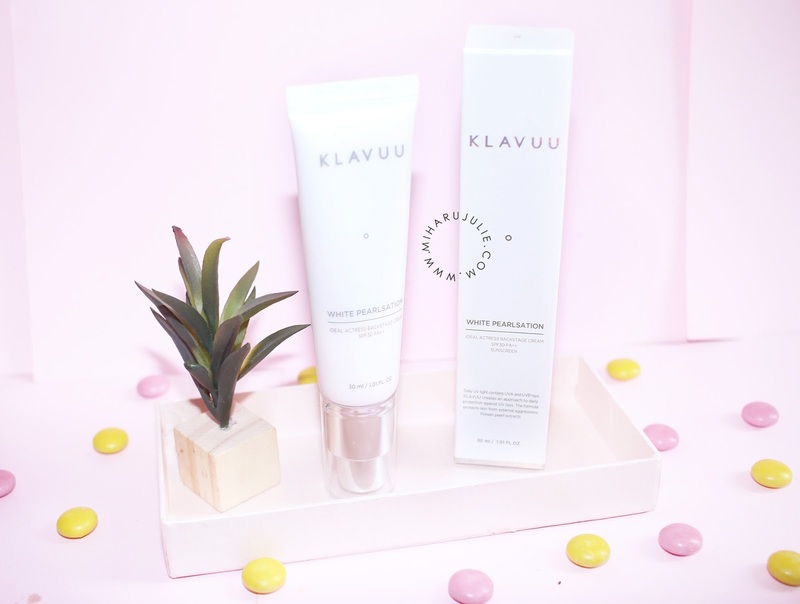 Where To Buy KLAVUU Pure Pearlsation?